There is a branch of Aldi near where I work, consequently lots of us pop there quite regularly at a lunch time. There aren’t as many of the common branded goods compared to other supermarkets, but there are still plenty of goodies to be had. I picked up a pack of Seal bars to add to the work biscuit supply tin. These biscuits are individually wrapped and consist of two layers of chocolate biscuit, a chocolate fondant in the middle all coated in milk chocolate. Not dissimilar to Penguin bars, and as such the conversation arose at work about whether we could tell the difference. The next day one of the ladies brought in some actual Penguin bars, and we set up a taste test. 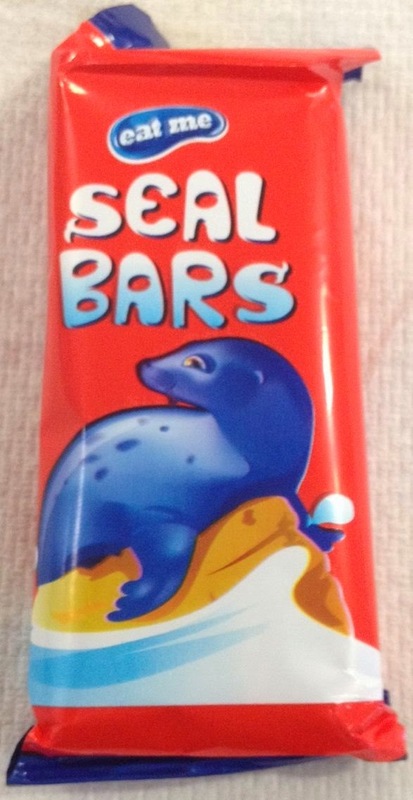 My Foodstuff Finds ego, and history of Penguin bar consumption as kid made me confident I’d be able to tell. The challenge was set, the bars were broken up and offered as ‘Sample A’ and Sample B’. Secretly I hoped I couldn’t tell the difference, as I wanted the Aldi version to be as good, and for the underdog to win. I tasted the two samples carefully and immediately realised that one sample did taste better than the other. One was more chocolatey and richer and tastier. I admitted to the team that I liked one better than the other. Another taste tester participating agreed, and we both thought ‘Sample B’ was the better quality product. The surprise here was that ‘Sample B’ turned out to be the Aldi Seal bars not the Penguin bars! Wow - we were totally surprised. We roped in some more taste testers and low and behold they too thought ‘Sample B’ was the Penguin bars when they were in fact the Seal ones! The results were unanimous. I hadn’t really intended to write this little taste test experiment up, but the results were rather unexpected so I could resist! If you are looking for a chocolate biscuit fix I can heartily recommend Aldi’s Seal bars, and I think I’m going to have to explore their other ranges further too.